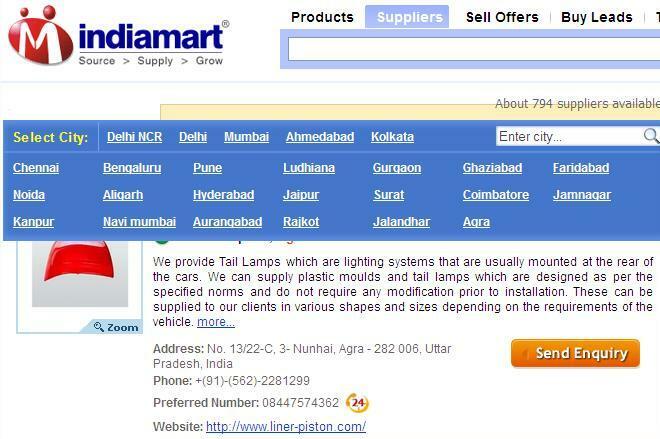 IndiaMART, an online information & E-commerce portal has introduced a new Search feature that helps finding suppliers relevant to the location of operations. Titled ‘SmartSearch’, it is essentially a geo-location based search algorithm, that first decides the location of the business for which the person is searching suppliers for & then presents results of companies who can not only fulfill the requirement. Additionally Buyers or potential customers who deal in large volumes can also see the ‘density’ of suppliers in any particular city. Logistics plays a very important role in formulating a manufacturing plan. Right from lead time needed for delivery till the final selling price of finished goods, almost all the parameters are influenced by the way the raw materials or components are delivered. A strategically located supplier can offer warehousing facility & last-minute dispatch schedule, popularly known as ‘Just-In-Time Inventory’. This technique saves a lot of money & space too. Needless to say Manufacturers need not worry about weather conditions hampering production schedule. In simple terms, the SmartSearch could work both ways. Buyers could find sellers within their vicinity. Additionally, raw-material suppliers could see customers who are quite near & offer them products at a much cheaper rate since the ‘Delivery Charges’ would be significantly lower. Recent advancements in the features showcased by e-Commerce ventures are ample proofs that the customers & viewers are being treated with utmost cautiousness. However, most of these web-businesses are aimed towards the singular buyer. Hence it is good to see a Business To Business (B2B) website launching similar endeavors to the Intuitional Buyers & Sellers. What do you think?